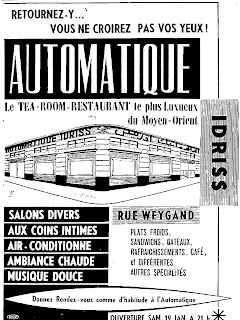 Hold your horses, no,Automatique Idriss will sadly not be opening again in Weygand Street Dowtown Beirut, but it is uncanny I was checking this ad out from my archives only to notice that the (re) opening date was 19th of January, or two days from now. 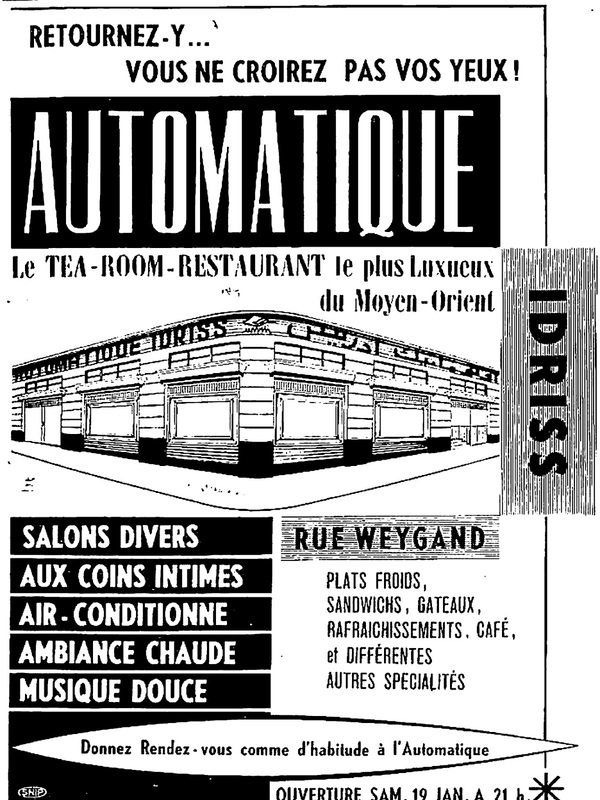 By the way, I could not manage to locate the date of the ad, but Automatique was a very old institution (most likely to the 40s) so the ad above with "air conditioning" means that it is a re-opening we are speaking of (the rage of the air conditioning happened in the mid to late 60s). Still, with my passion for old ads, this one is a gem - I for one, would like to visit "the most luxurious tea-room-restaurant of the Middle East".